It’s time, folks: tonight, Tuesday, April 2, the season three finale of This Is Us will be hitting televisions everywhere. It’s been an emotional rollercoaster of a season, from the Big Three meeting their long-lost uncle, Nicky Pearson, to Kate’s tough but rewarding pregnancy with her son, Jack, to Beth and Randall’s marriage going into a near-nosedive as they pursue new career paths. 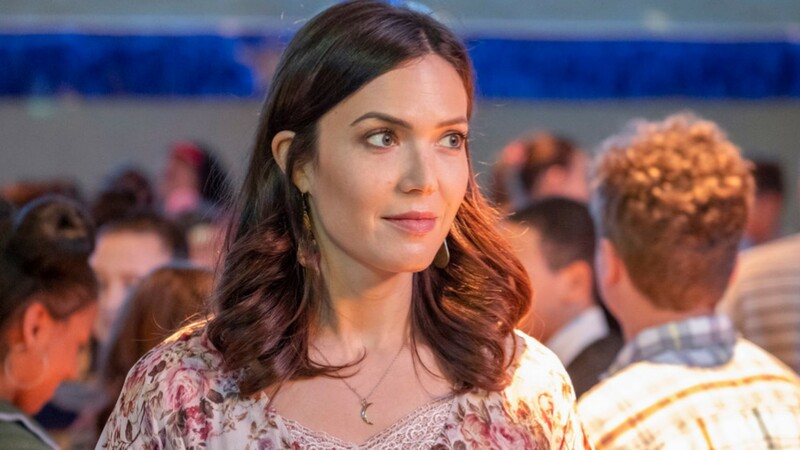 But according to new comments from the cast and crew, This Is Us‘ season three finale will address questions about “her,” the biggest mystery on the show since those early days when we wanted to know how Jack Pearson died. Speaking with E! News, Mandy Moore, who plays Rebecca Pearson, commented vaguely (as per usual) about what will happen in the season finale. “You’ll be left with more questions. I think a certain question that was posed at the beginning of the season will be answered, but then I think we’re left with a couple more questions—in typical good television form you answer a few and then answer a few more,” she told E!. Can somebody hug us? We are not okay right now! While speaking with Entertainment Weekly, the showrunners of This Is Us addressed specific concerns about whether the season three finale will answer questions about the “her” storyline, as seen in a handful of flash-forwards at least a two decades into the future. Similar to the season two finale mini-time jump just months into the future, which left us with tons of questions that were eventually addressed in season three, fans should likely start bracing now for some major reveals in the season finale. We have a feeling that the finale will give us more clarity about whether or not Beth and Randall weather this stormy period in their marriage or if it ends up breaking them for good and we also hope that we at least get some better answers about why Rebecca is in the hospital and why it’s such a big deal for the family to go and see her. Don’t miss the season three finale of This Is Us tonight, April 2, when it airs at 8/7c on NBC.